To celebrate its 10th anniversary of trading, MultizoneAV has teamed up with TechRadar to offer one reader the chance to transform their living room into a spectacular home cinema, worth £599! 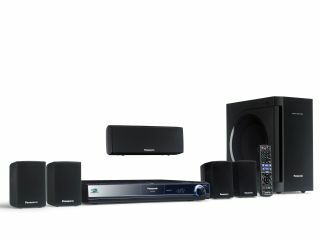 On offer is Panasonic's SC-BT200 Blu-ray 5.1 system, packing in 1,000W of amplification, five satellite speakers, a subwoofer, internet video streaming, an iPod dock and support for pretty much any digital video format you can throw at it. This Christmas looks set to be Blu-ray's big day, and the SC-BT200 is the ideal system to get ready for the high-def revolution with. The included 5.1 speakers offer startling clarity, with taut, punchy bass and a well-defined surround field that'll really bring your favourite DVD and Blu-Ray films to life. Blu-ray playback itself is clear and refined, providing a natural image with low noise and fantastic depth right up to Full-HD 1080p quality. And if you're worried about getting those 5.1 speakers set up correctly, don't - once the speakers are in place, the included microphone will automatically analyse the acoustics of your room and adjust the surround sound field to match your environment perfectly. As experts in audiovisual technology, you can be sure that whether you want the personal touch of Home Cinema Store's in-store service or the price benefits of buying through the MultizoneAV website you're guaranteed the very best, impartial advice on choosing a product that fits your living room and your budget. This competition is now closed. The winner is Tom Dunlea.